Or if you want something livelier, hit the Grand Pool complex and lazy river at the neighboring MGM Grand. The outdoor terrace offers sunshine by day, blazing fire pits at night. Put some bubbly on ice and settle into your home away. The Lounge in Tower 1 is your go-to for an intimate vibe and attentive service. Even if you only use it for breakfast and the occasional lunch, it's nice to have the dine-in option (especially when there's a Sub Zero fridge in the mix). Gated entrance on the MGM Grand property 0.4 miles off the Strip. Adults-only pool, plus access to more pools and a lazy river at the MGM Grand. Drinks are steps away at the poolside bar. The Bellagio Fountains are a Vegas must, just 0.6 miles walk away. You're less than a half mile to Planet Hollywood Resort & Casino. Do it. Go see the Wynn, winner of the world's most Forbes Five-Star awards. Give yourself extra time to get ready for dinner – you'll want to soak in the jetted tub first. The private, gated entrance and lobby set the tone at the sophisticated, quiet, non-gaming, nonsmoking Luxury Suites International at The Signature. 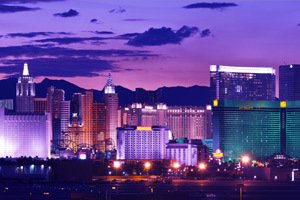 Located on the grounds of the classic retro-Hollywood-styled MGM Grand Hotel and Casino (connected via covered, moving walkway), you’ll have easy access to one of the largest gaming floors in all of Vegas. When you finally do venture out, prepare for sensory overload – the flashy neon Strip is just a ten-minute stroll (maybe a bit longer in your “fancy night out” shoes). By the time you’re finally up the next day, the sun will likely already be in full force, so throw on a swimsuit, grab your biggest, darkest sunglasses (for effect) and find a spot poolside, after a possible detour to the Starbucks in Tower 1. Lounge the rest of the day away at the adults-only pool, waving the server over for another look at the menu when your current drink runs dry. If you’re looking for a change of scenery, float around the famed lazy river at the MGM Grand, or hit either of the two fitness centers. Checking your watch would be pointless – it’s Vegas after all. But when the sun starts fading, head to The Lounge in Tower 1 to game-plan the rest of the night over daily drink specials. Pull up to the elegant tower suites and toss your keys to the valet as you head for the elevator. (You could get used to this.) Pull the curtains aside or step out on your private balcony for expansive views of the Strip and surrounding mountains. Impressive marble bathrooms with jetted tubs and June Jacobs citrus shampoo make a spectacular personal retreat. The one- and two-bedroom suites dazzle with full gourmet kitchens for the aspiring Inas, Giadas and Nigellas. But even if you’re planning to leave the cooking to a combination of 24/7 room service and the experts behind the award-winning local dining scene, the Sub Zero refrigerator is a nice touch. The 24/7 concierge is your secret weapon when it comes to planning dinner reservations and day trips sure to solidify your hero-travel-planner status. It’s not just a booking desk – it’s a fountain of local insider information on everything from championship golf courses, to some of the world’s most jaw-dropping boutique shopping, to once-in-a-lifetime helicopter tours over the Grand Canyon. Save yourself hours scouring the Internet for schedules and prices and maps, and go straight to the experts who would be thrilled to help you make the most your stay. - The units offered for rental through Luxury Suites International are hotel-condominium units owned by individuals. The Signature manages only the shared access and amenity areas of Luxury Suites International and is not responsible for the availability of the units for check in and does not provide housekeeping, laundry, maintenance, or other services for this unit. To check in go to Luxury Suites International front desk located at 125 E Harmon Ave, Las Vegas, NV 89109. For more information, please contact the property using the information on the reservation confirmation received after booking. - Guests planning to arrive before 3:00 PM must contact this property in advance to arrange check-in. Please contact the office using the information on the reservation confirmation received after booking. Enjoy a concert or sporting even at UNLV's Sam Boyd Stadium. For a fun alternative to gambling, visit the Pinball Hall of Fame. The world's largest pinball collection features machines from the 1950s to the 1990s and a small selection of novelty arcade games.